Today, I am sharing another niche site success story from one of the readers of the NichePursuits.com blog. A couple of weeks ago, I asked for experiences from people that are making money from niche sites right now. I know that when I first got started, I always felt like I was unsure if certain “methods” were still working today. Sure, they worked yesterday, but are they working right now? These stories are from very real people seeing very real success TODAY! 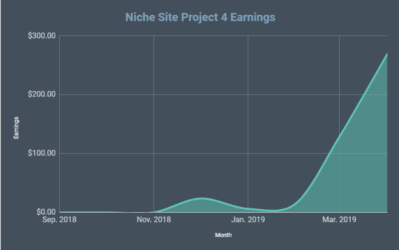 I've shown from my own niche site project that you can indeed still make money with niche sites, but these experiences are from OTHER people finding success as well. So far, I've shared 2 other success stories: One from Mark in Poland, and one from Benjamin making money in the Handheld Radio Niche. If you have a story you would like to share, I'm still accepting them! Please read the instructions here and submit your story. Today, I'm excited to share a story from Jason; who is doing well in the Jobs and Employment niche. What's great is that he just started building niche sites a few months ago! He shares how he uses expired domain links and more to help his sites out. To be honest, just reading his story even motivates me a bit more…so thanks Jason! And finally, I have personally been on vacation for about 2 weeks, and I just got home. It was a great vacation, and perhaps I'll have to post about it…but I'm happy to be back! So, starting on Monday or Tuesday I will begin posting more regularly again. My first post “back” will be my monthly income report for my survival knife niche site. This is just one of many ways to make money with a website. My name's Jason. I'm doing the 9 to 5 right now as an Operations Reporting Analyst. 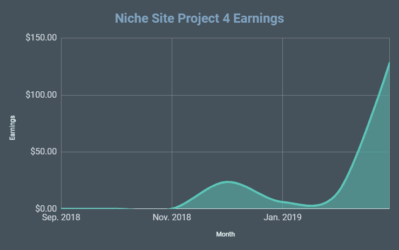 It's fun for me to crawl through data at work, but my experience with niche sites this year has opened my eyes to an even better potential lifestyle with niche sites. I launched my first niche site in mid-March this year. After reading so much from you and the AdSense Flippers, I finally pulled the trigger and started work on my first niche site on January 1st this year. I had a little experience messing around with websites in middle school. I built a couple(terrible) Pokemon sites over a decade ago on Angelfire and Freeservers. Building a website has changed so much. Back then, they didn't have the usual tools like WordPress and HostGator, so almost all of the niche site building process has been completely new to me. What is the URL and what niche are you targeting? If you are not willing to publicly share your domain or niche, that's just fine. Looking at the problems with your Niche Site Project, I'd say it's best that I don't reveal the URL of my site. I will say that it is related to the Jobs and Employment niche. I got the idea from Pat Flynn's Security Guard site from the Niche Site Duel 1.0. What I liked about building a site in the Jobs and Employment niche was how easy it was to get content ideas. You can easily create over 50+ pages of content because you can write an article for every state. I was also impressed with how long his site has consistently made money. He made the site in 2010, yet it consistently makes over $2000 a month. I wanted to replicate that success with my first site. I planned to create a large, stable site that would cashflow for years. The month of June was a huge turning point for me. My income jumped from ~$50 in May, to ~$240 in June! The site makes its money entirely from AdSense, but I've since been introduced to new methods of monetization. Earlier in June, I was contacted by a rep from QuinStreet. He'd found my site and asked if I was interested in placing a lead gen widget on my site. 1) Long tail keywords: With over 60 pages of content, less than 1% of its traffic comes from the primary keyword. 2) High PR backlinks: Unfortunately, part of the reason my site receives 1% of its traffic from the primary keyword is I chose a more competitive primary keyword(guess I'm not as good at Keyword Research as you). From March to May, my site never ranked for its primary keyword, only getting traffic from the long tail. I knew I needed a stronger backlink strategy so I tried buying expired domains. The results came quick. Within a couple weeks, I was ranking on the 1st page for my primary keyword, and on the 2nd page for a synonym keyword with a huge search volume(over 12,000 per month). As my ranks continue to increase, I can see the site earning 4 figures a month by the end of the year. My ideal process has evolved a bit since making my first site. After my experience with QuinStreet, I'm fully aware that AdSense isn't the most profitable method of monetizing traffic. Going forward, I won't treat monetization as an afterthought. Actually, it will be my first step. For my next sites, I'm looking forward to experimenting with a combination of AdSense and highly targeted affiliate/CPA offers. High PR domains completely changed the game for me. I didn't do good enough keyword research for my first site, but high PR links made up for my mistakes. But most importantly, focus on the keyword research. Especially analyzing the top 10 results. Building High PR links is expensive, and if you do your keyword research right, your site will be much less expensive to rank. It's opened my eyes and shown me just how possible it is to create your own lifestyle. Times have changed. Making money is no longer about getting a job, sucking up to your boss, and hoping for a raise. If you want a raise, you can get it for yourself. Build a cashflowing asset like a website and take control of your own income. Get started. I'd been reading about niche sites for nearly a year before I finally made one. And I know you have plenty of readers right now, who were just like me back then. Watching from the sidelines. Dreaming. But doing nothing. Build a site today. Reading blog posts doesn't make you money. Take action. Make mistakes and learn from them. Then, take action again. Every time you act you come back smarter with a better chance at success. Writing out my thoughts on a blog has helped me to better focus my strategy to hit my goal. If my thoughts help out your audience, then I'd love to hear their feedback on the blog. It'll help to keep me motivated. Thank you Jason for sharing your story! I did want to quickly interject my own opinion about Jason's comment on Adsense not being the best monetization method. I agree that sometimes its not the best method, but many times it is the best method! In particular, you mentioned how much you wanted a site like Pat Flynn's security guard site that is making $2000+ per month…well that all comes from Adsense! And Pat has tried for years to find other ways to monetize that site…he won't find anything better than Adsense for that site. Its absolutely the best way. Sounds like its the same for your site. I agree that you should think about monetization before creating a site; however, I often look for great Adsense opportunities, because there are so many and can do very well. Okay, that's it for me…now its your turn! What comments, questions, or opinions do you have to share? I’d like to ask a few questions about the High PR domains if you don’t mind. 1) Were you buying domains that were about to expire, or were these domains that had already expired and you were purchasing it for the regular registration fee? If it was the latter, can you tell us a bit about how long it took the domain to regain its Page Rank? 2) Did you look for the domains yourself (using tools etc.) or did you buy them off of websites that sell expired domains? 3) How many of these domains were there in total, if you can share? And finally: can you share the search volume for your main keyword? Doesn’t have to be the exact number, just a range will do if you prefer. I would also like to know that. I would also like to know what the story is with this? Do you go to GoDaddy Auctions or something similar and buy existing domains with a PR ranking instead of starting at ground zero? Also, for linkbuilding… What is your method? A SEO company, linkvana, Unique Article Wizard, outsourced or manual???…. It was all just GoDaddy Auctions. It’s simple and easy to understand, so I just went there to save time. For link building, my initial strategy(directory submissions, blog comments) offered little results. As I mentioned I saw no effective results until I started using expired domains. Any link building I’d do is manual. I don’t want to risk spammy links pointing to my sites. 2) Just GoDaddy auctions. I have very little time since I still work full time, so I’ve been opting trading extra expense to save time. 3) As of the time of this writing, I only needed to use 1-2 domains to see a sharp increase. As for the volume of my primary keyword, again, I failed hard at keyword research (haha). It was somewhere under 1500 searches a month. The keyword that drives the most organic traffic is my synonym keyword at 12000. One other question Jason if you don’t mind. 2. What is the approximate CPC for that keyword? I’m only asking about that 12,000 keyword (the one you are ranking second page for). I should clarify, the synonym keyword drives the most traffic, but it only accounted for 3.41% of my traffic that month. The site got 4311 unique visitors in June, so I’d estimate 143 uniques/day in June, and I expect that number to increase even further by the end of July. Thank you for the interesting and inspiring story. I just want to clarify something about the usage of high PR domains – did you make 301 Redirect after acquiring them, or you used them for satellite sites with link pointing to your main site? Spencer, I am loving the new success story “series” that you’ve been doing. One of the biggest hurdles people have trouble jumping is the one of belief. Many people still have hard time believing that you can start a successful online business. There are still a lot of naysayers out there that say this IM stuff is just a bunch of hogwash. I concur! It’s very easy to become disillusioned, especially when you’re just starting out. Having real examples of success helps keep me focused and eager to produce new content each week. Thanks Bradley! Lots of success still to be had out there. I agree. I’m also enjoying the “success” series. Jason, thanks for sharing. Interesting to hear how much expired domains impacted your rankings. You’re not the first I’ve heard to use this strategy with some pretty sharp results. Glad to share my story, Thriftypreneur! A lot of my success is due to ideas I’ve learned from Spencer. The site building process and expired domains were all strategies I found here. Bradley I think you are spot on. Many people don’t want to jump in and test the water and see if they can do it themselves. I know that is what I did a while ago, and I am learning every step of the way. With each new step forward, a new challenge is met and overcome, but if you don’t get it going it won’t happen. The success series is fantastic. It shows people that anyone can do it. You just need to put you mind to it. Hey Spence Love your site, been following it since Feb When you Started doing the Public Niche Site, One of the main reasons I thought the site was so cool was the Amazon site you did match up with exactly how I have built many of my sites in Affiliate Marketing. For the past few months I’ve been getting into Adsense sites to help diversity my income, but now that the Affiliate Nexus Tax passed and I’ve been kicked from the Amazon Affiliate Program since I’m a Minnesota Resident. I’ve been Really Ramping up my Adsense efforts to make up for the lost income. Yes, its still primarily the exact same strategy. Link building strategies tend to change more rapidly, but not the core idea of targeting low competition keywords. When Building Adsense sites, do you start each site with 5 pages still ? or do you start with around 15 pages and build onward ? Spencer/Jason great success story! I really like the approach Jason is taking focusing on one site until it is a success and then moving on! On the monetization side – the answer is always you never know what will work until you test it…Sonetimes AdSense is best, sometimes Amazon and sometimes lead gen CPA. Spencer – Keep the success stories coming! Glad you enjoyed the read. I found your case studies just a couple weeks ago, and the content is amazing. I love how you outline your income reports. Very concise, and you can clearly see how you use your results to determine the next month’s game plan. When I write out my thoughts like you do, it’s really helped me to focus my own strategies and to learn from mistakes. Again, I’m glad you enjoyed the read, because I’ve more than enjoyed following your case studies. I’m trying out your article writing strategy this month. It’s been going great so far! BTW, posted this same request over at Pat’s site, would love to see a post from you about it as well! 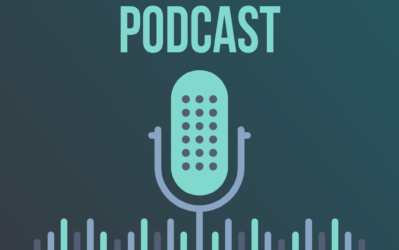 A quick reader request—I’d love to see a blog post (personal preference, podcasts aren’t really my jam) about trouble shooting your site when it’s not performing as expected–particularly in the early stages. For example, I’m having issues with my keyword choice. It’s a new site, granted, but there’s been no change in ranking whatsover according to LTP. Meanwhile, a competing site has increased in ranking quickly for the same keyword, despite being so new as to not even have a site age listed in LTP, and having very few backlinks thus far (it rose from 10th to 3rd with no backlinks at all, according to LTP). I think my content is better, but unsure as to how to troubleshoot issues, particularly given the whole “not provided” keyword issue in google analytics. Where do you start your trouble shooting process? What are some common issues that will keep you from ranking, and how do you find them and fix them? Or do you simply keep plugging away at content creation and revisit the issue a few months in? This would be a good post idea – and would probably take a lot of research on my part to do it justice. I’m not Pat or Spencer, but I feel a good way to combat something like this is, yes, focus on content creation. When everything is said and done, the majority of your traffic is (usually) going to be coming from keywords other than your primary keyword. While it’s great to rank for the primary keyword, when 80%+ of your overall traffic is going to be coming from other keywords, in the early stages, it doesn’t make sense to stop production to attempt to focus on that keyword ranking. That’s my take. Good luck. Thanks guys! Yeah, I agree to an extent, and it’s hard to remind myself to quit with the number crunching and get on with building content! You’re a rockstar Jason! Way to take action. I’m also curious where you’re getting your expired domains and how much they cost approximately? Good luck with your niche site biz! Hey Vic thanks for the compliment. Expired domains were purchased from GoDaddy auctions, and they aren’t cheap. Actually, I don’t even plan on using GoDaddy auctions as much going forward because of their cost. The cost of the expired domain will depend on the quality of the back link profile. PR4s with a very few back links can be bought for under $50. But they can easily lose value if those links drop. PR4s with decent back link profile will cost at least $200. great to hear about your success! I’m building a few niche site right now and I think it’s a solid method to focus on longtail traffic. Also build one site at a time helps to focus a lot. I agree! Focusing on the long tail is important. My income from March – May, pretty much came only from long tail traffic. The more content you have, the easier it is for people to find you. I am also Quinnstreet publisher and everybody told me that they pay 18 USD per lead. Well the truth is that I receive from 2 to 10 USD per lead. I dont say it is not much. It is worth it. But when you make 50 leads , you expect approximately 900 USD and not “only” 200 USD. 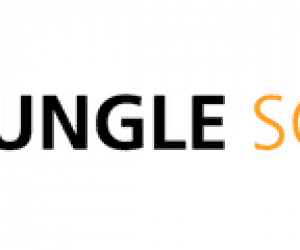 Have to say that I have large website including many niches and I received leads from variety of schools,so you better count with 5 USD per lead if you want to work with Quinnstreet. $5 per lead? Interesting. That’s different than the rep told me. Still, I’d like to test them out for a niche that fits their network. If the money isn’t worth it, you can always switch out their widget for an AdSense block. every success story learned me something new which is helpful for my up coming project. Nice to touch with you spencer! Thats really a very great breakthrough indeed and, and inspiration for all of us that are still working on our own niche sites. I’m also building a site on that same niche, watching to see how it all turns out. All three of these guys have shared some of the best case studies I’ve ever read. Make sure to check them all out, and you’ll succeed too. hi, Do you create content yourself or can you share some technique to find ideas for content that potential consuer is looking for? I outsource the article writing. Maybe do a few edits for quality. For keyword ideas I’d recommend Longtail Pro. Jason, seems like you are already on the highway !! We must thank Spencer and Pat who are leading the niche site creation “movement”. And, the timing couldn’t be better, because my newly built niche site made it’s first amazon sale yesterday 🙂 Of course the commission was equal to a peanut, but the point is there are possibilities if we believe in the system and put up original content. Keep going and all the very best. Any possibility of revealing how you are placing ad-sense on your site. I mean, how many link units, image ads and placement strategies etc. And yup, Spencer and Pat have been a huge inspiration so many thanks to them. Spencer, another success story on the way……. I manage a job blog. Can you guide me how to monetize my blog in a better way? Currently I am earning $1000 per month through Adsense, CJ and Clickbank. Awesome series Spencer. I’m working on a new website and looking forward to what you and your guests provide. Always great to hear someone else that is not a pro getting into it and just doing it. Its not simple but you have to stick with it and learn from your mistakes or the mistakes of others. Thanks Spencer for allowing others to share their story here! Hey … Thanks for sharing. Many people said SEO is free but the fact, it is not. The amount of money we invested in backlinks acquisition and content writing takes a big chunk. Just wonder how much you spend initially to achieve net profit ? As a complete newbie, I spent over $600 until my website started to make a net profit. But this included setup expenses like hosting/Longtail Pro, so the next websites should be much cheaper. Yeahm from Spencer to Patt to Glen, success stories kept pouring in. But I feel i have not started! Love the new success stories, great idea to share them. I’m following Jason’s progress now too! Also love your podcast too! HI Jason, so you buy an expired domain, and then put a single piece of content on that domain, with a single link back to your main site? is that how you are doing it? Yes that’s all I need… for now. I have to plans to expand the expired domains further. Just a generic question (in fact , now a concern) – Has anyone facing issues with indexing their sites with bing? My site has been one month old and google indexed close to 70 pages and Bing still shows a proud 0. I did signup for bing webmaster tool and submitted sitemap. Any insights into this issue? Bing is also an important source to consider since it might be the default search in windows tablets and might be integrated into many other devices to search by default. In my experience, Bing does take a lot longer to include sites in their index…could take a couple of months. I love reading articles from this site because it offers realistic ways to make money online. Sure examples like Jason don’t earn as much as others do, but we don’t need articles that promise huge income in a short span of time. We want something that works, and that will continue to work for a long time. Jason’s answers showed a different light about AdSense, and I believe not everyone can feel the same way about AdSense. He also made some intriguing comments especially the one about bringing monetization on the table as early as he did. Overall, his story is inspiring and I learned valuable lessons. Thanks! Hi Riza. I’m glad you enjoyed the read! To clarify further on what I said about AdSense, I’d say Spencer is right about my current site. AdSense is likely the best monetization method for it. But what about other sites? For my next sites, I’ll be building websites specifically to convert CPA/affiliate offers. My theory is that a site made for CPA/affiliates will have a higher revenue per visitor than a site with only AdSense. Am I wrong? Maybe. Maybe not. I’ll be testing my theory for the next couple months with a new site so I can compare results. Love the story, simply straight to the point. Start working is the real secret if you wanted to be successful. There are a lot of ways to monetize your sites and these depends on what you think will work for you. Never stop experimenting until you perfect the right formula for you. I love the great success story. Thanks for sharing. I always like success stories, especially small business that we can learn from. However, the interview is not detailed enough, as we can know the story, but we don’t benefit from it. Maybe you can help to ask about the keyword process, the failures and how he get high PR links. 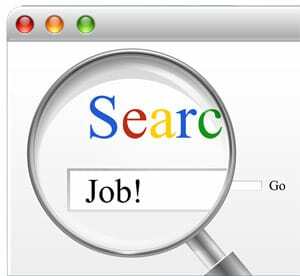 The Employment, Jobs and Career niche is an awesome niche to get into. This is one of the rare evergreen niches if anyone are stuck with ideas to write. Though it can be competitive but if done right canbe very lucrative. 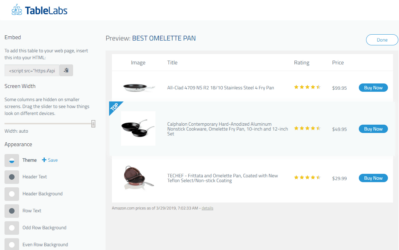 I highly recommend them, as I have few sites that do very well with them especially if you compare to Amazon product niches which you have to maintain regularly. Thanks for sharing, this is very interesting stuff! I’m also in the jobs and employment niche as I’m running few job boards. One question on the expired domain technique: are the domains you bought related to the keywords you’re targeting or is it completely unrelated? I mean, does any domain name help your rank? The actual domain names are not related. But the content is. The idea is to “rebrand” the domain by adding relevant content. It’s great to hear of your success—building successful sites isn’t easy! It’s inspiring to hear your story. I have a few expired sites, but I’m not sure how to set up a hosting account for them. I imagine that registering the expired domain on the same account where I have my niche sites is a bad idea. Did you create a separate hosting account with your hosting company to set up your expired domain? 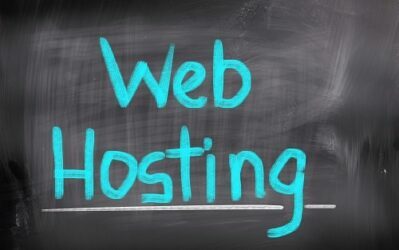 Or did you use a different hosting company altogether? Also, do you link to more than one of your niche sites from the same expired domain? Or is that a no-no? Thank you for the guidance, and all the best to you! I actually put them on the same hosting account, just to test them out. Even with the same IP address, the high PR links give great results. Now that I’ve seen how well expired domains work, I’ve started investing in separate hosting for them. The truth is: You don’t need that many links to rank a site targeting an easy-to-rank keyword. Forget all the complicated SEO tools and systems or secret methods. Focus on your keyword research and you will save lots of time and efforts doing SEO. This is a proven way to make money with niche sites. My niche website ranked at #3 in Google after 14 days without any backlinks at all. Yes. #3 WITHOUT ANY BACKLINK. That’s cool, right? I have also seen that the traffic from the primary keyword often is not as important as the traffic from all other long tail keywords that drive traffic to the site.